Steam Launch arrives March 16th - WITH FIRE!!!! Clone Drone in the Danger Zone will launch on Steam Early Access on March 16th. FAQ: How much will it cost? The launch price will be $15. FAQ: If I already bought it on itch, do I get a free Steam key?? Yes! When it becomes available on Steam we will give everyone who already bought it a free key. FAQ: Will you continue to sell it on Itch? Yes! Itch is an awesome platform and we'll continue to release updates there. It's possible we'll add fancy features that only work on Steam (like achievements), but if you don't care about that you can continue to play on itch. FAQ: Why Early Access? When will the game be finished? We're going to update this game a lot! We could focus on quickly wrapping up Story Mode since it's the most obviously non-finished thing, but that doesn't necessarily add the most fun new gameplay each update. The story will continue, but mixed in with other things! Over the coming months, expect to see a lot of updates adding new Enemies, Abilities, Story Chapters, Twitch Weirdness, Levels, Game Modes and more! New Update - IT'S ON FIRE! What is better than cutting up robots? ALSO SETTING THEM ON FIRE!!! 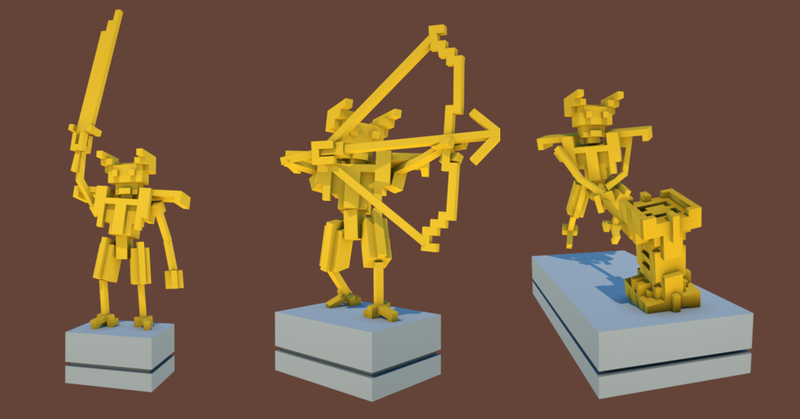 Fire spreads quickly between voxels, increasing the chance that a glancing blow will turn fatal! The fire update launches with the Steam Release. We're launching an exciting new Game Mode with this update! Challenges provide interesting sets of levels with a clear objective attached! The Inferno Challenge will provide 10 new levels that will set you and your enemies ON FIRE! Endless Weapon Challenges - We've already seen great YouTubers do it. Now the game adds official support for tackling Endless Mode with many upgrades (sword included) disabled. Unlock Abilities - Defeating some challenges will add powerful new abilities to the Upgrade Tree! 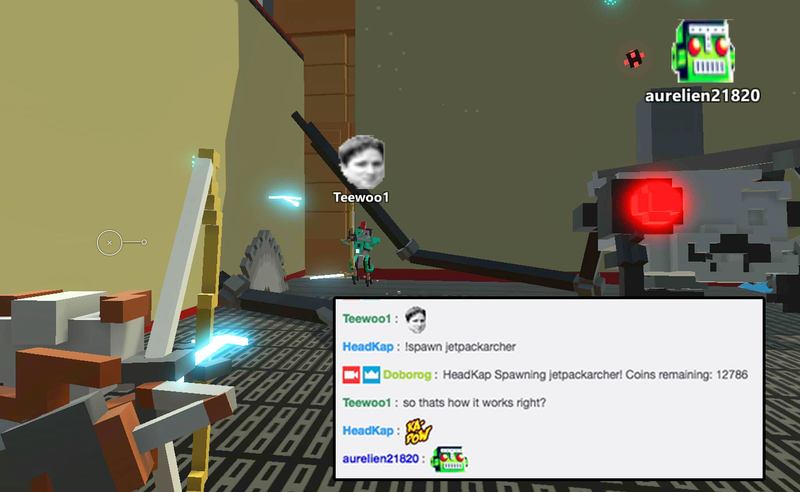 On Twitch[www.twitch.tv] - We've had a ton of fun building new levels with the help of a live audience! Follow us to get notified when we go live! There's a Newsletter[clonedroneinthedangerzone.com] for big announcements! Talk to fellow humans: on the Itch forums[doborog.itch.io], Steam Greenlight Page or the Discord Chat[discord.gg]! 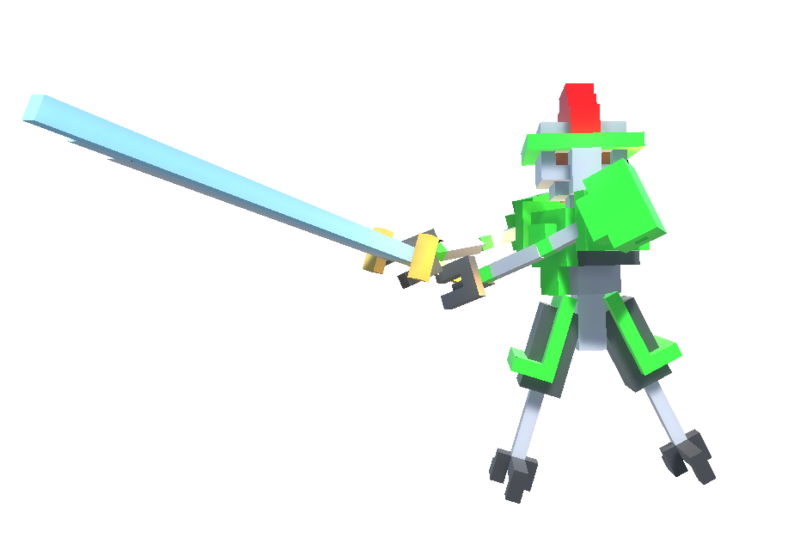 Use your laser sword to satisfyingly slice up voxel robots. And maybe save humanity! Apologies for the brief agony while we harvested your mind. But now your thought patterns are safely encased in this sleek, shiny robot! SURVIVE AND PERHAPS YOU WILL EARN UPGRADES. GOOD LUCK IN THE ARENA. Game Modes: Many ways to be dismembered! 1. Story Mode - One part epic tale of human defiance, another part laser swords. 2. Endless Mode - Challenge yourself to fight through 86 level variants spread across 5 difficulty tiers. CAN YOU MAKE IT TO 🔥TITANIUM🔥 ? 3. Twitch Mode - TWITCH PLAYS YOU. Your Twitch stream viewers earn coins, bet on your gameplay and spawn enemies to kill you (or give you ❤️s—if they really like you). 7421 spoken words of robot commentary... SPOKEN BY ACTUAL COMPUTATIONAL PROCESSES! Terrifying robotic enemies that actually get kinda hard! Spidertron 5000, Spidertron 6000... oh right, the hammer guy. And that one with a jetpack... did I mention the Spidertron 5000s?? Well, it's not finished! Story Mode only has 20 levels so far. There are many more enemy types, weapons and upgrades still to be added. Alpha stability: There may be bugs! Tell us and we'll fix them. Unless they’re Spidertron 5000s. Those are in there on purpose. We're releasing major updates about every 4-5 weeks. In the 5 months the game has been live on itch.io we have released 4 major updates! We often stream[www.twitch.tv] Clone Drone’s development (and sometimes play!) live on Twitch! Clone Drone Let's Play videos are blowing up on YouTube! Sometimes people are playing Twitch Mode live on Twitch[www.twitch.tv]! An alpha build of the game is available early (now!) on itch[doborog.itch.io]! Hone your sword skills now, before the rest of humanity gets its turn. JOIN THE HUMAN RESISTANCE! Vote YES above to help put this in your Steam library ASAP! And Favorite, Follow so you get first dibs! this game is AMAZING!!!! 10/10!!!! 5 STARS!! Clone Drone in the Danger Zone has been Greenlit and is now listed in the Steam store. For the latest information, purchase options, and discussions for Clone Drone in the Danger Zone, please see it on the Steam Store or in the Steam Community.